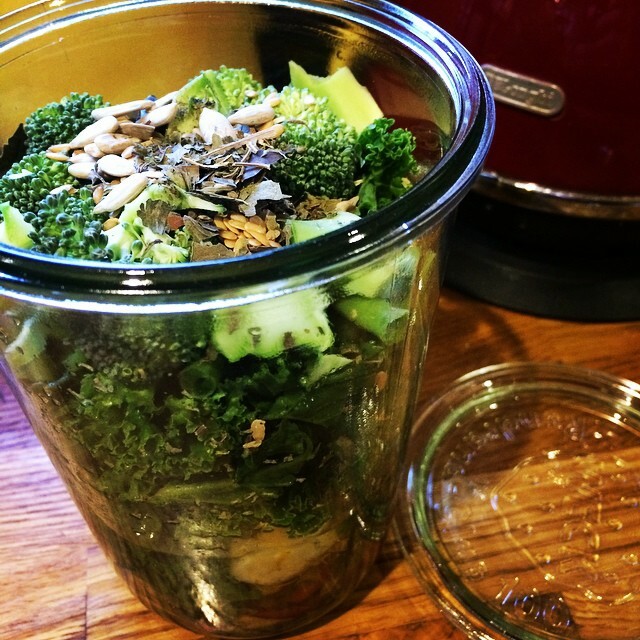 This is one of my favorite recipes for homemade green smoothie! Even though vegetables and fruits are not a dog's main sources of nutrition, I believe they benefit a lot if we make a healthy homemade smoothie for them. In nature, a carnivore eats prey animals and guess what is inside their guts. There are half digested vegetables and fruits! So it made sense to me to give some vegetables to dogs. Mother Nature always reveals to us her secret when you are willing to listen. Smoothie : kale, broccoli, 1/8 apple, 1/4 of banana, french bean, rooibosh tea( approx 200ml, flaxseeds, sunflower seeds, kelp, lemon balm, neem. Blend and serve with any raw meat.